Healing doesn't have to happen alone. Eagles’ Haven is a new community wellness center designated for former, current, and future students at Marjory Stoneman Douglas High School, along with their families and faculty. Three licensed clinicians are available on site for case management and can connect people to personalized therapy options. The center will also host pet therapy, mind and body workshops, as well as classes like yoga and healthy cooking. It opened a few weeks early, on Monday, March 25, and this week they are welcoming anyone affected by the tragedy. The center is located at 5655 Coral Ridge Drive, Coral Springs 33076. It is open from 9 a.m. - 7 p.m. Monday through Friday, 10 a.m. to 4 p.m. Saturday. Counselors are available 24/7 by phone or email at eagleshaven@jafco.org. You can contact Eagles' Haven through the website www.eagleshaven.org or call (954)-315-8688 or (954)-203-4249. Professionals United for Parkland connects the South Florida community to long- and short-term mental health support in the aftermath of the tragedy. PU4P maintains a database of regional mental health providers who offer evidence-based treatment. You can contact PU4P for a referral—regardless of whether or not you have insurance—through the website, www.pu4p.org. PU4P also offers training on grief and trauma for both community members and clinicians. The Southeast Florida Trauma Recovery Network (TRN) is comprised of local volunteer clinicians and consultants who have extensive training and experience in EMDR therapy, with special training in the use of protocols for recent traumatic events. TRN vets volunteers for appropriate licensure. You can request help through the TRN website: www.southeastfloridatrn.org. The Broward County Resiliency Center (BCRC), offers individual, family and group counseling to everyone in the community. The center is located at the Amphitheatre at Pine Trails Park,10561 Trails End, Parkland and open Monday through Friday, noon to 7 p.m., and Saturday and Sunday from noon to 5 p.m. . You can make an appointment by calling 954-684-4265. Two full-time licensed clinicians staff the BCRC and provide trauma-informed counseling services. Veterans in the community who are struggling—related to the communal trauma at MSD or not—can find support by calling the Veterans Crisis Line: 1-800-273-8255 and press 1. You can also chat confidentially online at www.VeteransCrisisLine.net or by texting 838255. In Broward County, veterans can also visit the Mental Health Fast Track Clinic at the William “Bill” Kling VA Clinic (9800 W. Commercial Blvd., Sunrise, Florida 33351, 954-475-5500, ext. 8502). Any veteran can walk in and be seen by a mental health provider Monday through Friday, from 8:00 AM to 3:30 PM. 2-1-1 Broward serves people in crisis by providing 24-hour telephone counseling, emotional support, suicide prevention and intervention, and links to community resources. The Lifeline offers 24/7 live support by phone or online chat, in multiple languages. This free and confidential support is for "people in distress, prevention and crisis resources for you or your loved ones, and best practices for professionals." This service provides 24/7 immediate crisis counseling related to disasters—including mass shootings. Callers can connect with trained crisis counselors. Available in multiple languages. The Helpline is a free, confidential, 24/7 treatment referral line supported by the Substance Abuse and Mental Health Services Administration. Individuals and families facing mental and/or substance use disorders can call for information and local service referrals. Available in English and Spanish. The first anniversary of the shooting at Marjory Stoneman Douglas High School is less than two months away, and, starting Friday, Professionals United For Parkland is offering a series of workshops to help the MSD community prepare for traumatic reactions associated with the milestone. 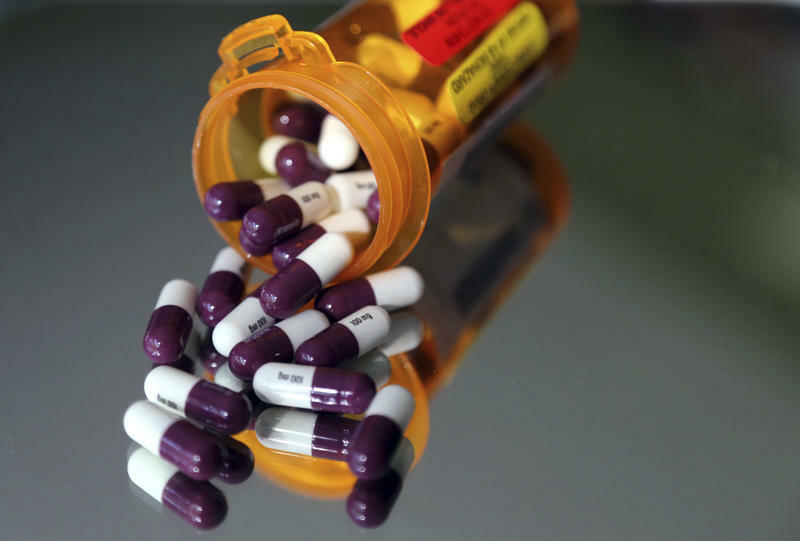 A new bill would allow psychologists in Florida to prescribe medication. If passed, Florida would be the sixth state to make the change. Survivors of the Parkland high school shooting won't have to go to class on the first anniversary of the shooting that took 17 lives. Marjory Stoneman Douglas High School students will have the option to report to campus on Feb. 14 for a half-day of community service activities. If students choose not to come to school, they're being encouraged to plan their own community service projects off campus.